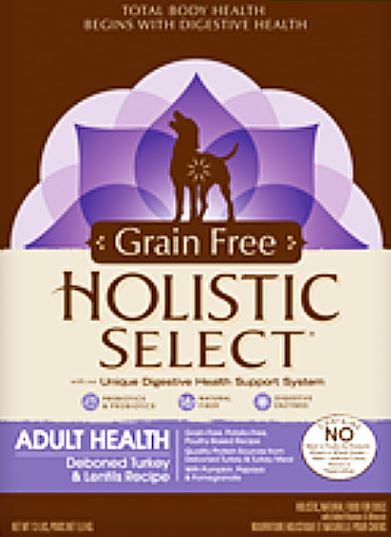 Holistic Select has been one of the better foods I’ve found readily available in Australia, so if you live near City Farmers or PetBarn then this could be a good choice. It’s pricier than other foods, but you’re paying for better ingredients. This review is for their Turkey & Lentil recipe, which is grain free and also potato free which is unusual. Deboned Turkey and Turkey Meal make up the main ingredients which is great to see. Turkey is a decent lean meat, and the protein level is high in this food at 32%. Next we find peas, lentils, and chick peas which will bulk up the protein levels in the food and also the amount of fibre, which can help both diarrhea and constipation, as well as promoting weight loss and reducing the risk of colon cancer. 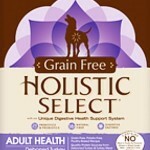 They’re good ingredients, but it’s worth considering the protein and fibre is right for your dog. Other Holistic Select recipes seem to contain decent oils, such as Menhaden Fish Oil, but this seems to be lacking in this recipe. Brewers yeast is a by-product of beer brewing and is historically thought of as a waste product, although in recent years it’s been proved to have some nutritional merit. This is certainly a solid 4 star food. Good source of lean meat, pretty good ingredients across the board. Seems to be lacking in essential oils, and the inclusion of brewers dried yeast seems sloppy.